The Lagoons is a real estate development in Dubai, UAE. It is located at a very prime location on the banks of the Dubai Creek. The Lagoon district is unique and one of the biggest real estate property development project. The aim of construction of such project is to reinforce the position of Dubai as the top centre for international trade and tourism. 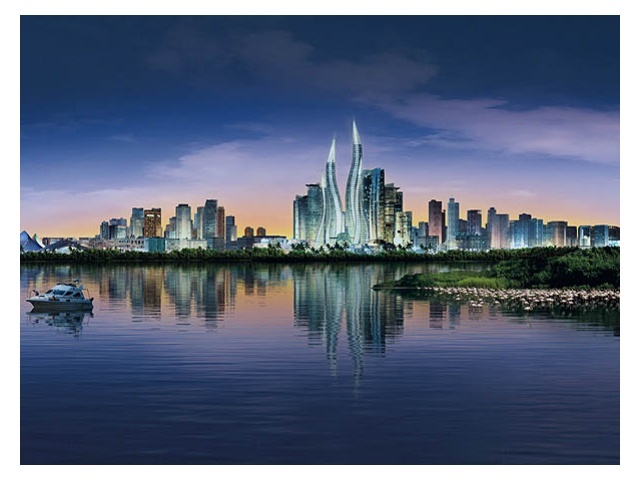 The district covers an area of about 6.5 million square metres and is located in between the ultra modern Dubai Festival City and Ras Al Khor. Majority of the property of The Lagoons comprises of corporate tower, super luxury hotels, shopping centres, residential projects, schools and beautiful landscaped gardens. Along with these the district also offers leisure and entertainment activities and some entertainment hub for residents and visitors. The Lagoon District is a free hold project with 100% ownership benefits that allows expats to invest in the same. Dubai Opera Houses: it is the last and final sub district of The Lagoon and the project is designed by an international architect. It will comprise of an opera house with a 2500 seating capacity, a play house with 800 seats, a 5000 square metre art gallery, a performing art school and a 6 star themed hotel.